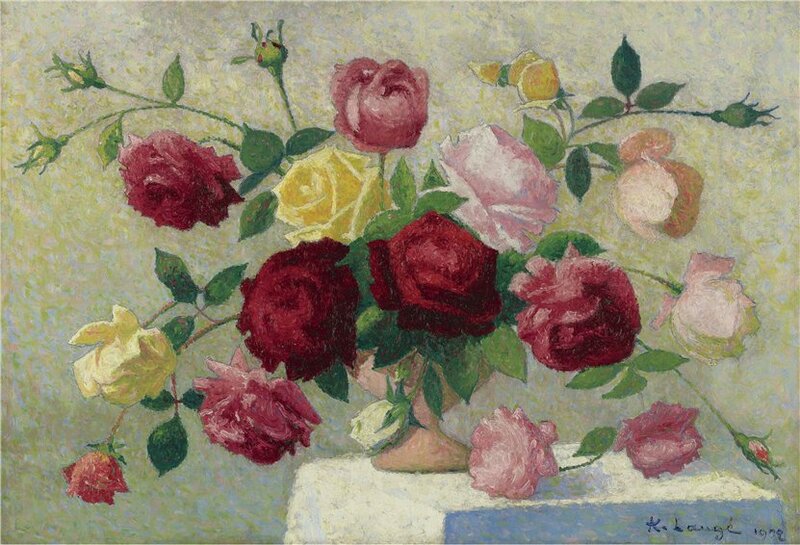 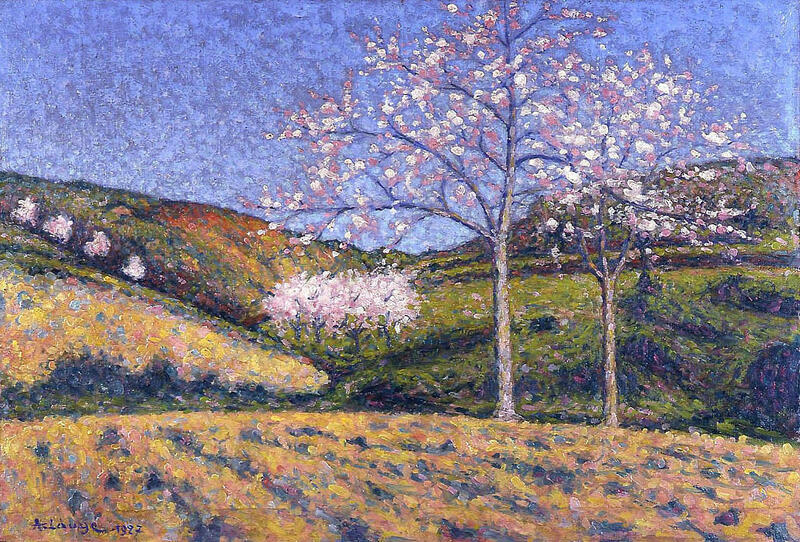 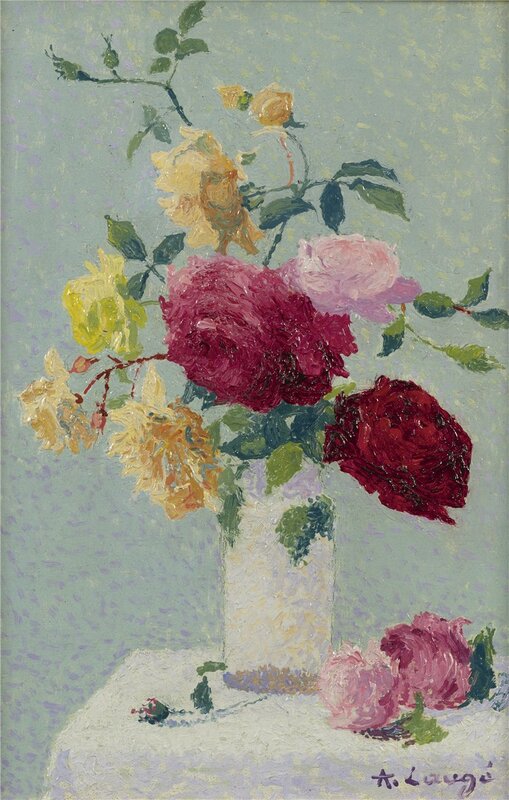 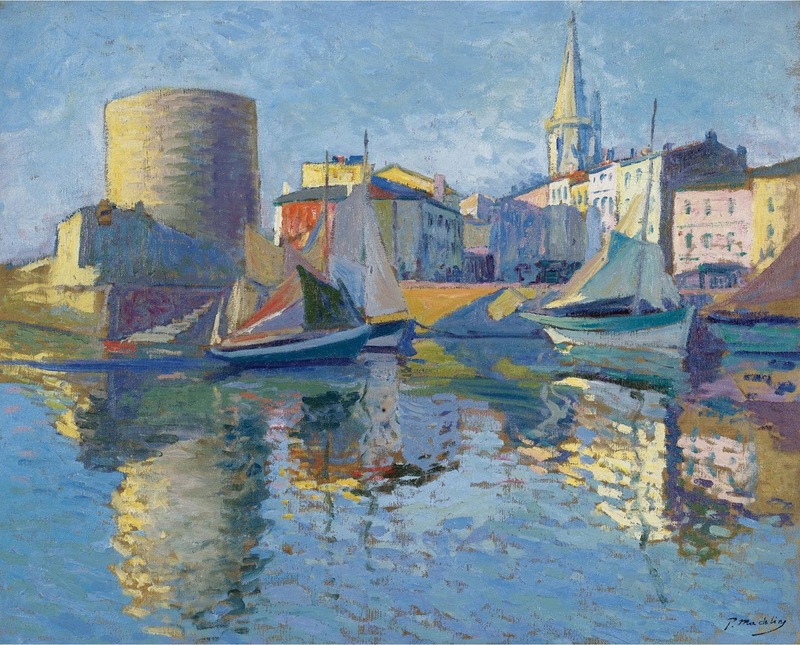 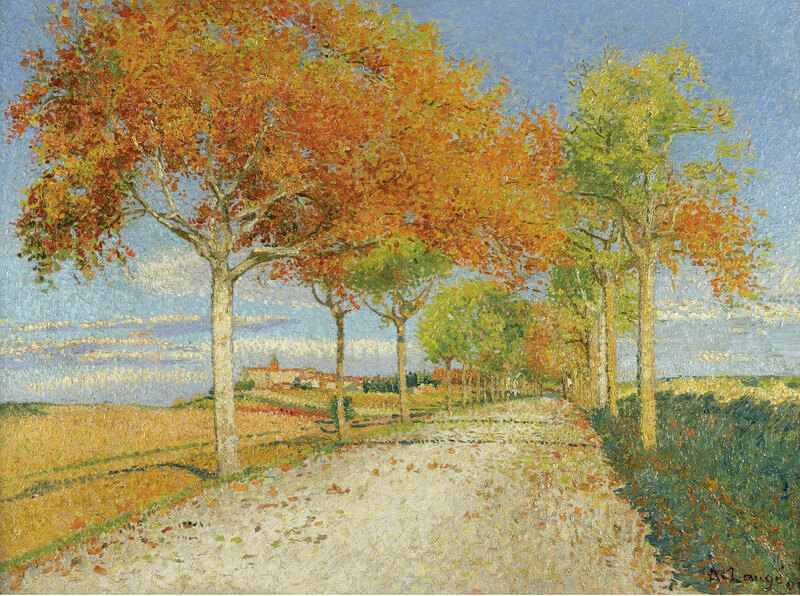 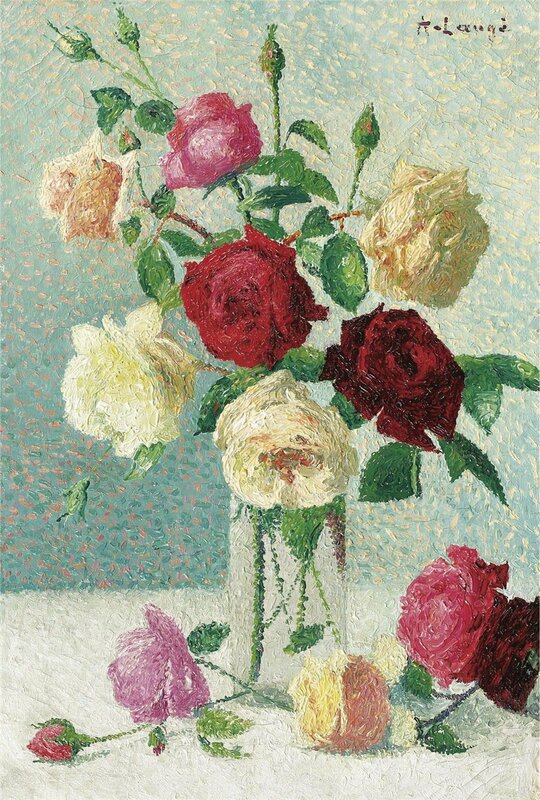 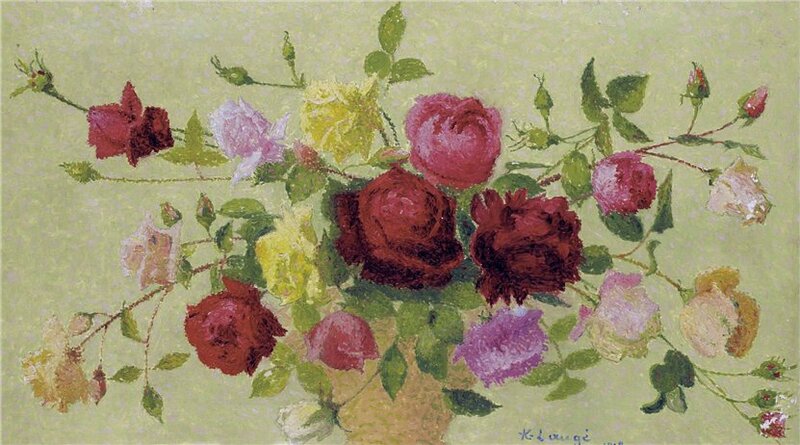 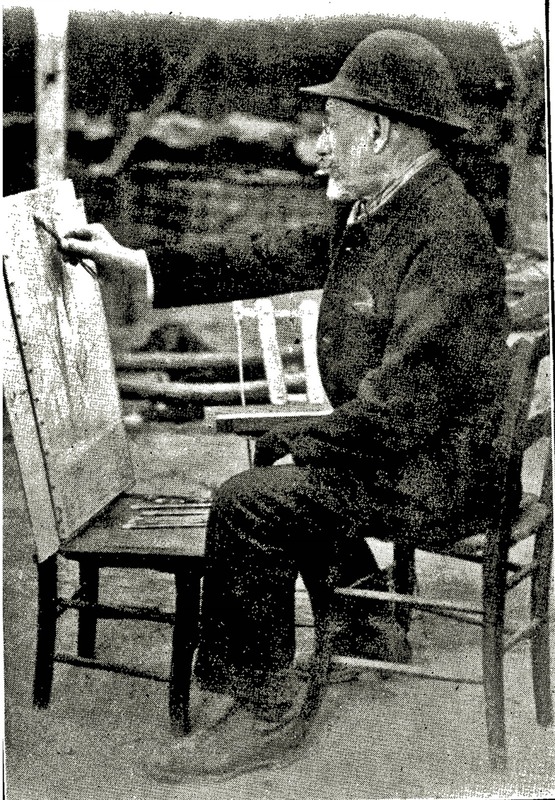 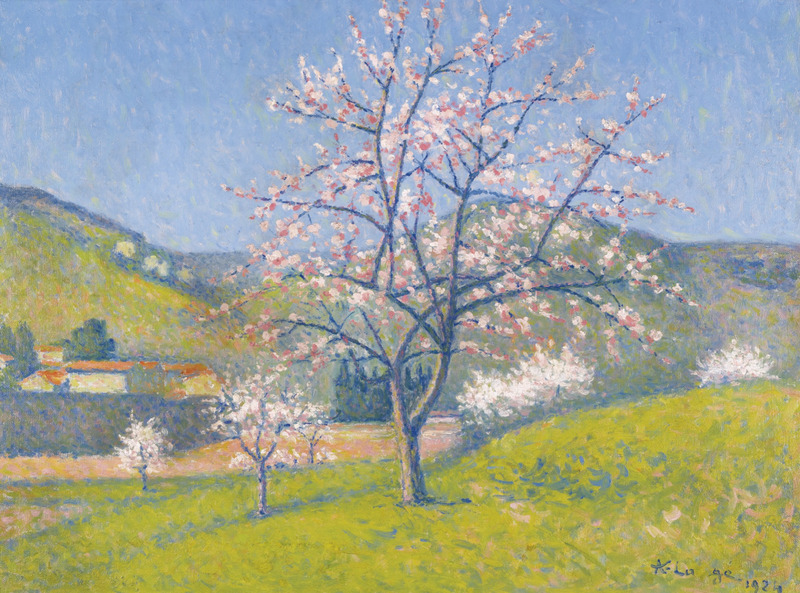 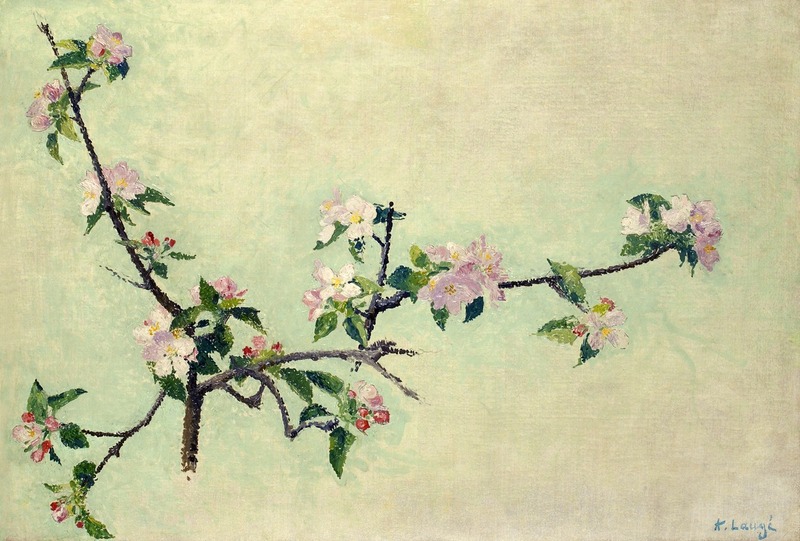 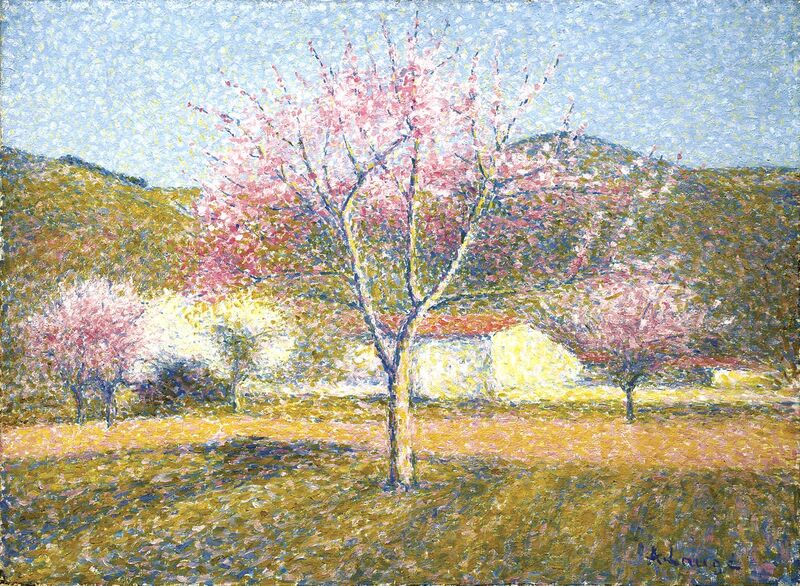 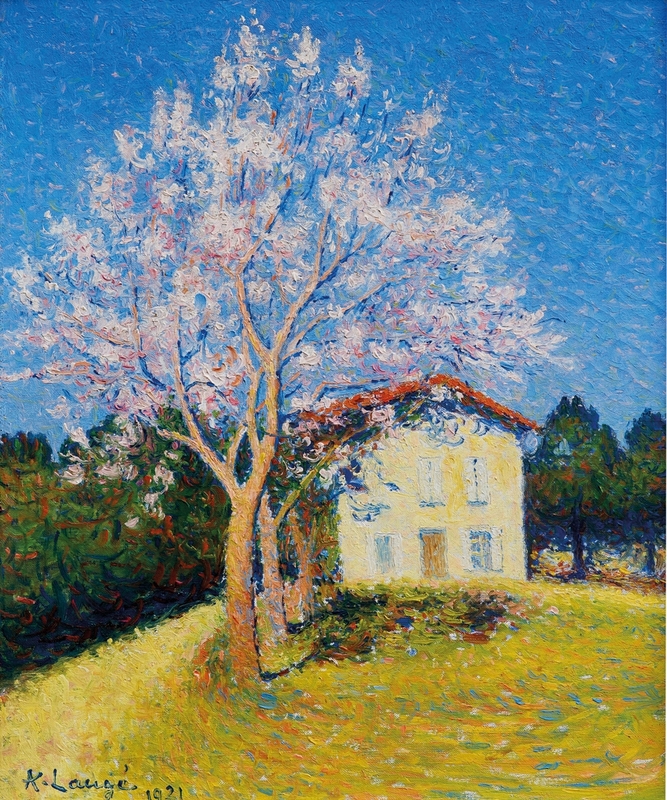 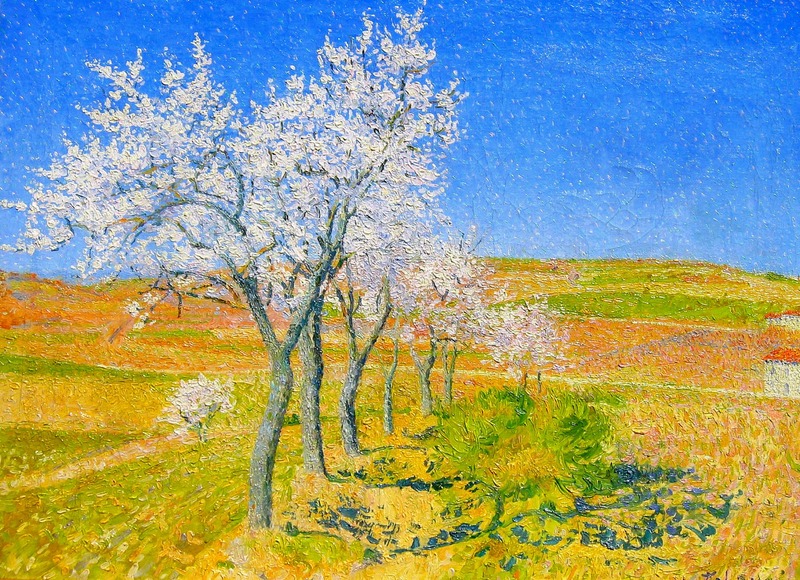 French painter Achille Laugé (1861-1944) was an Neo-Impressionist painter born in Arzens. 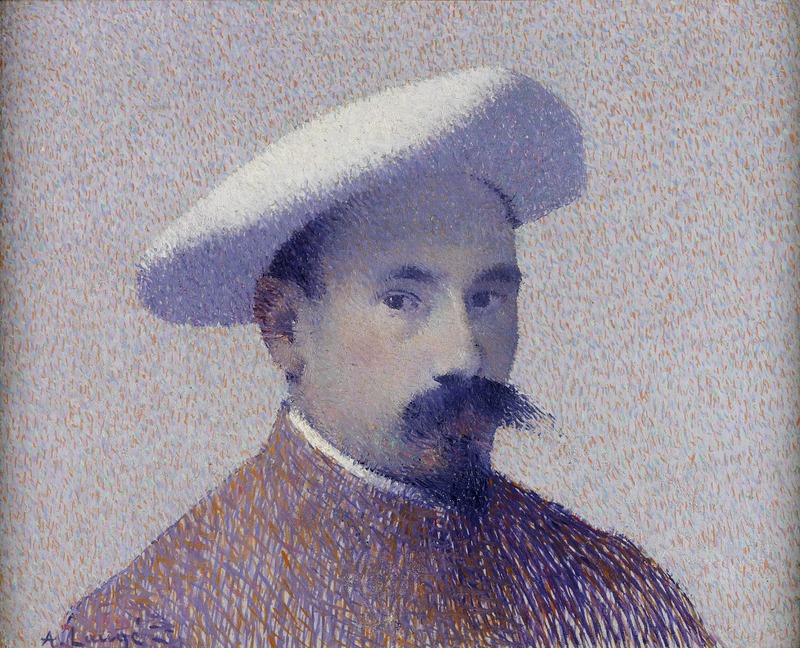 In 1882, he began his studies at the École Nationale Supérieure des Beaux-Arts under the direction of French artists Alexandre Cabanel (1823-1889) and Jean-Paul Laurens (1838-1921). 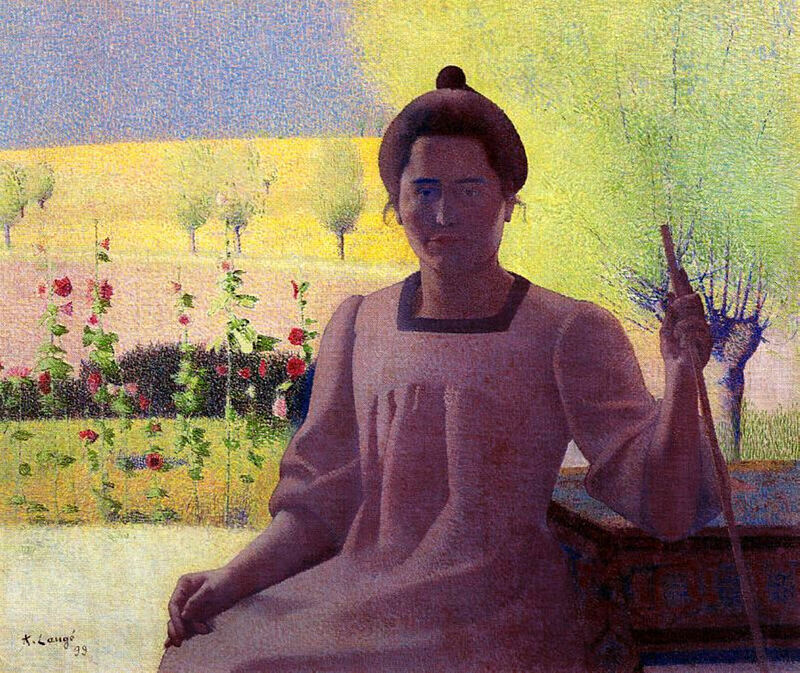 In Paris, he met artist Aristide Maillol (French painter, 1861-1944), with whom he shared a studio and maintained a life-long exchange and friendship. 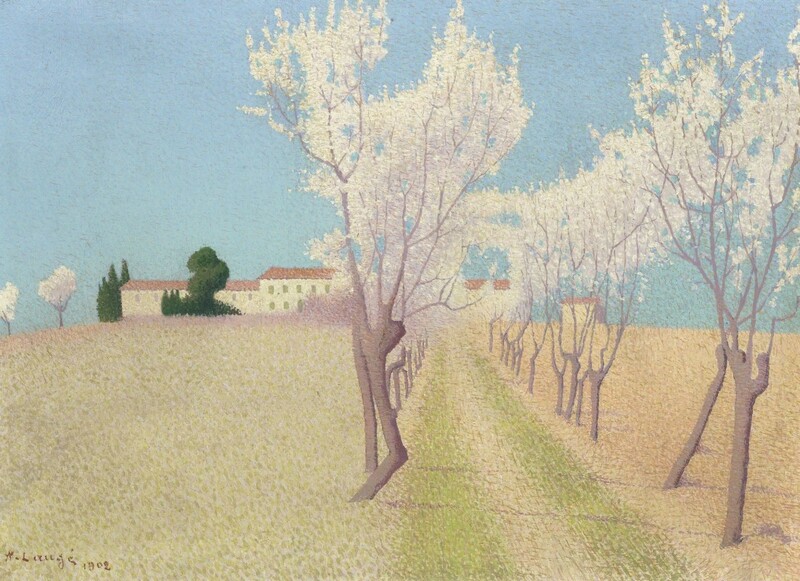 Laugé never followed his teachers’ methods and advice, and his work was considered radical for its time. 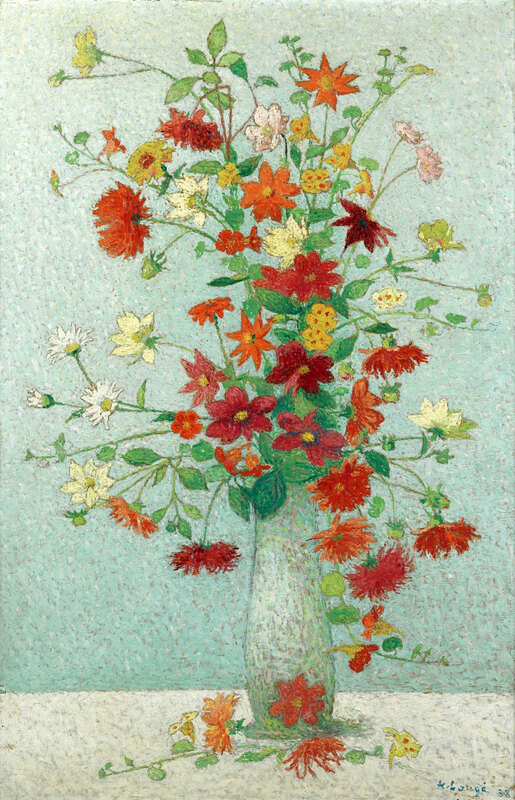 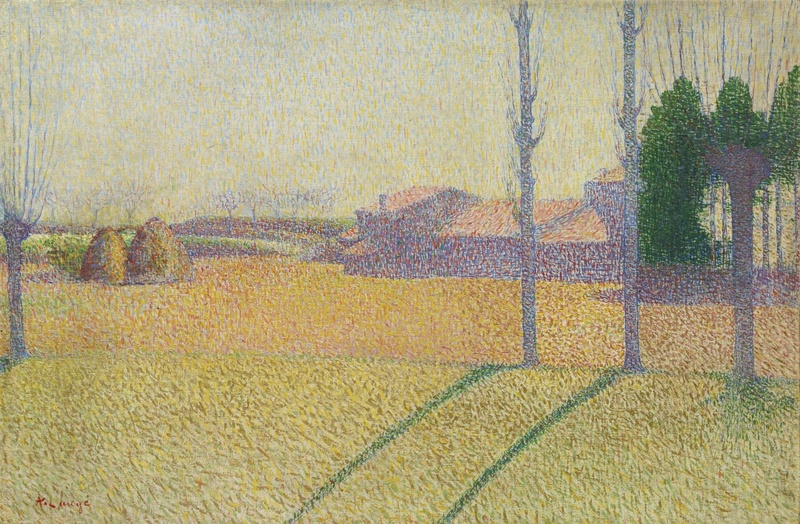 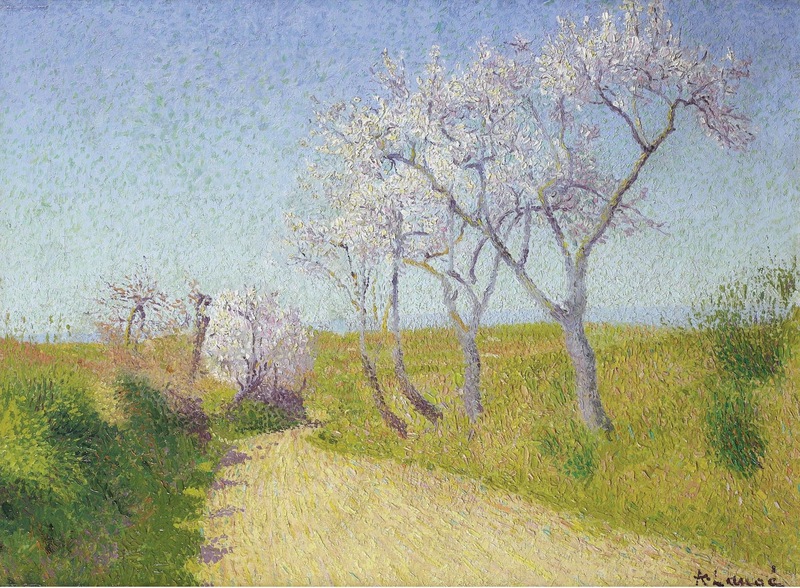 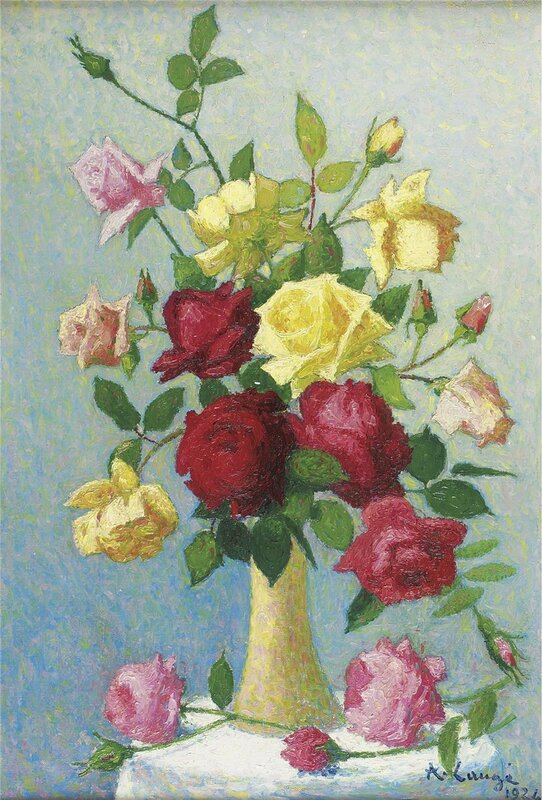 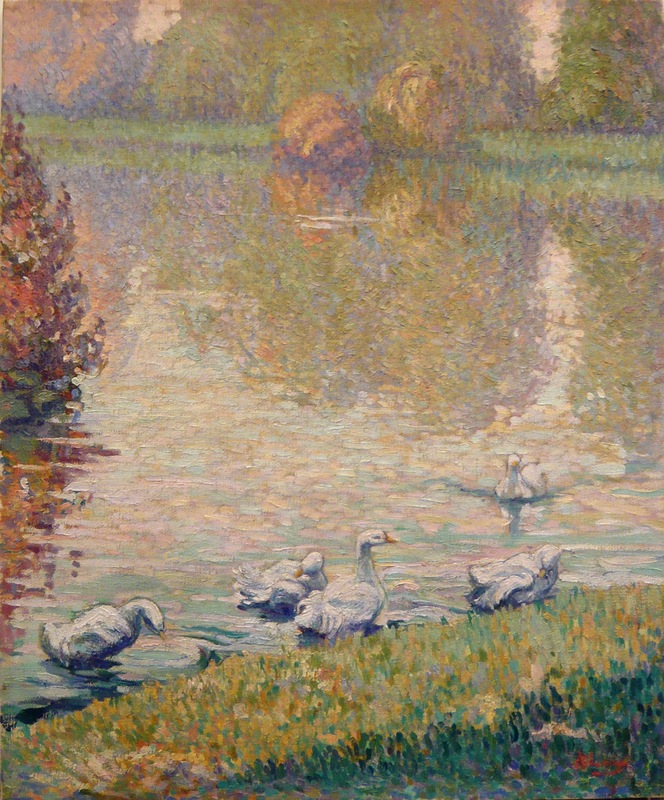 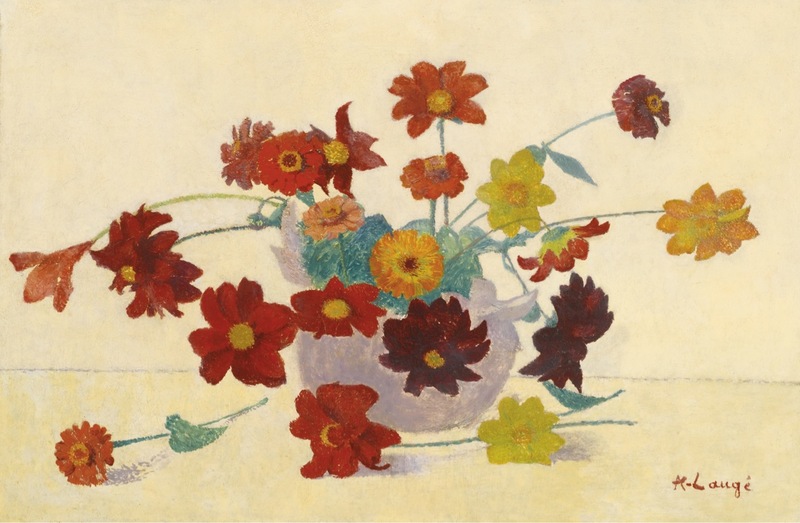 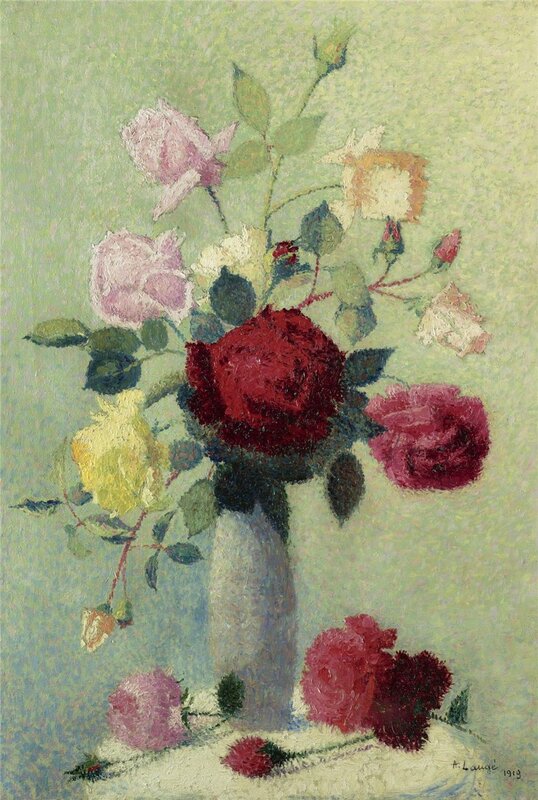 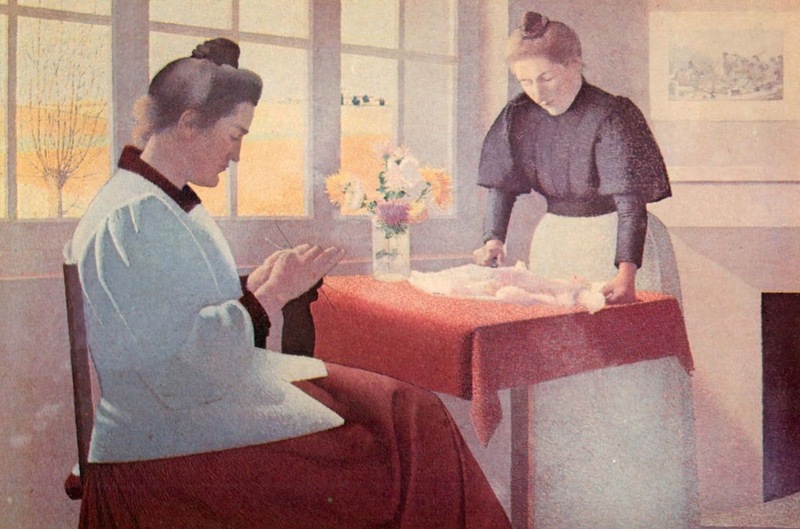 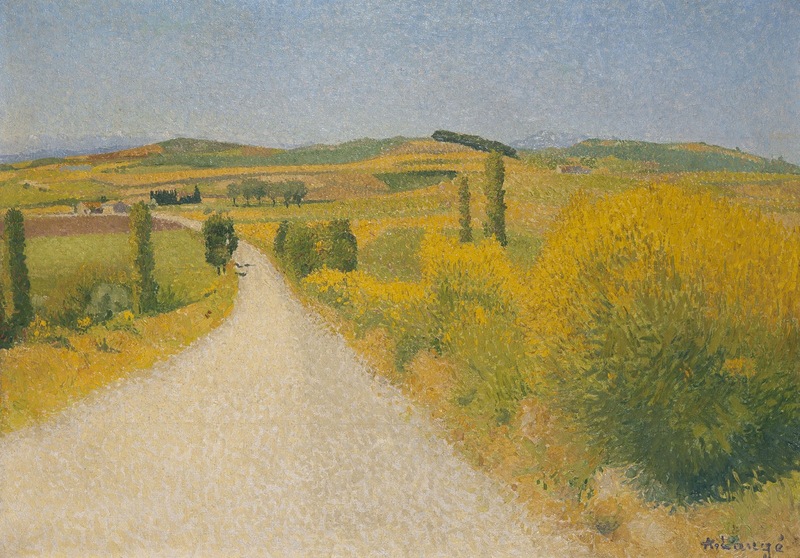 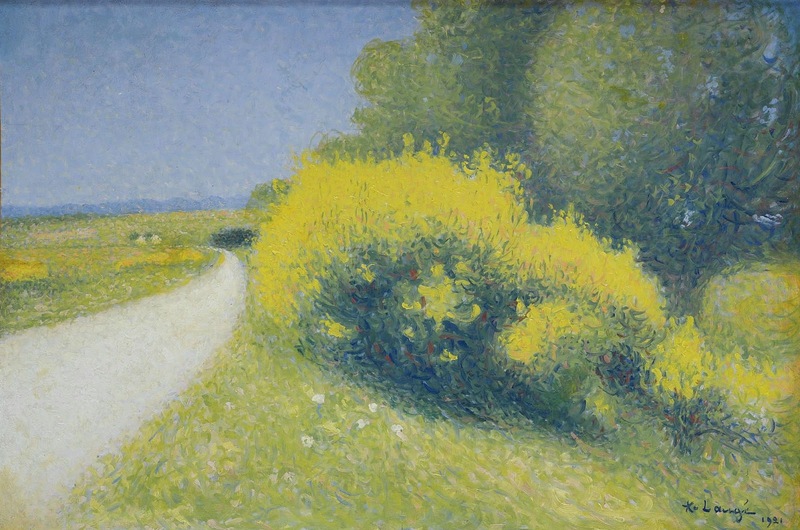 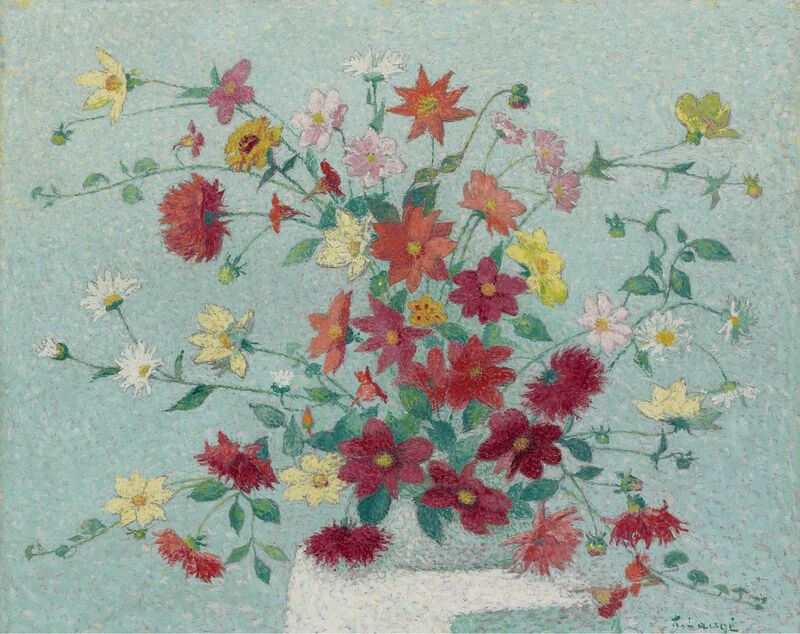 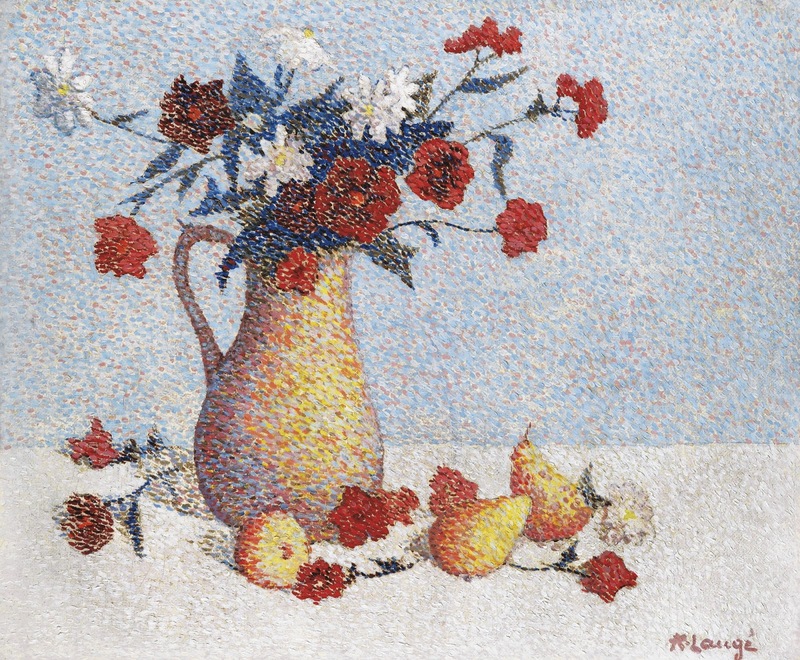 Influenced by French Neo-Impressionist painters Georges Seurat (1859-1891), Paul Signac (1863-1935) and Camille Pissarro (1831-1903), Laugé adopted elements of their style without aligning himself with Seurat’s strict and scientific method. 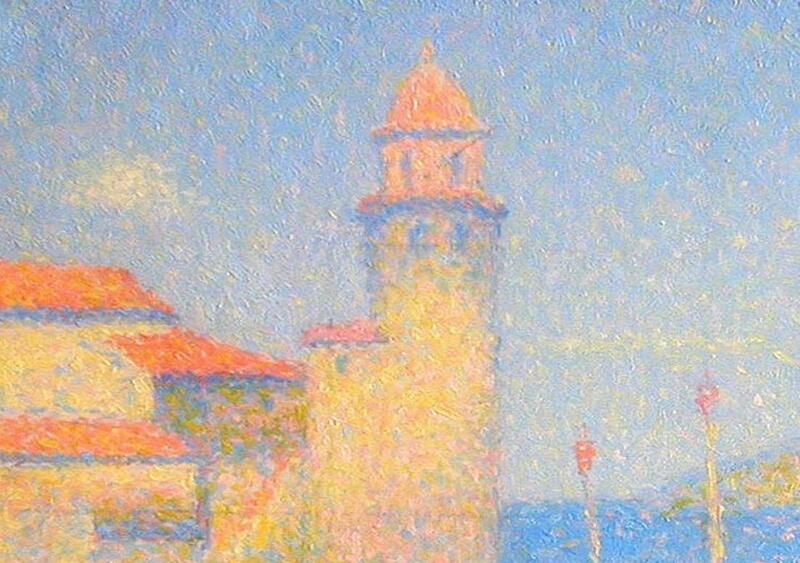 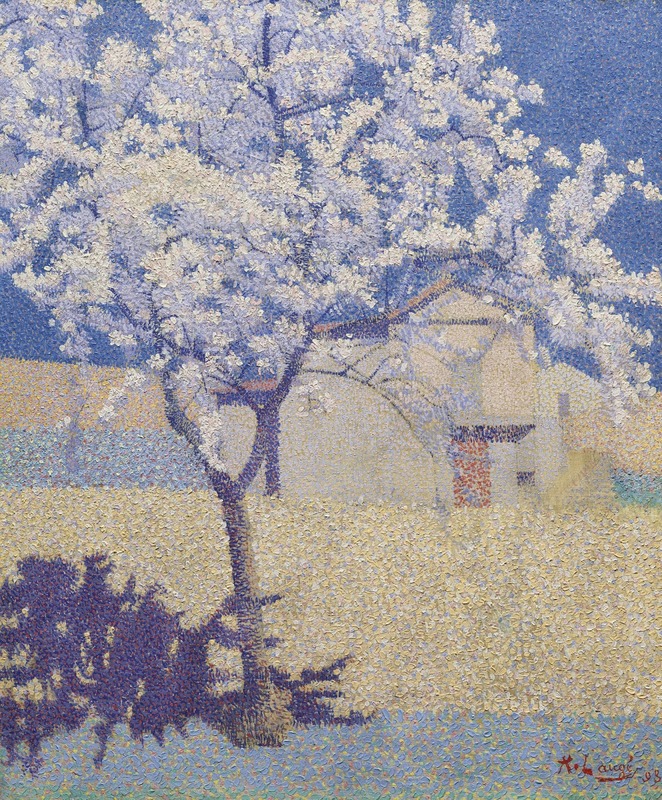 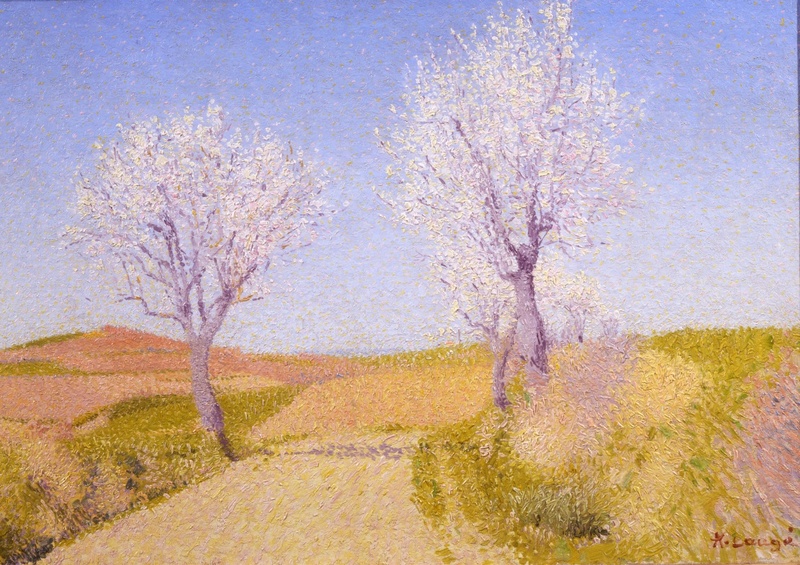 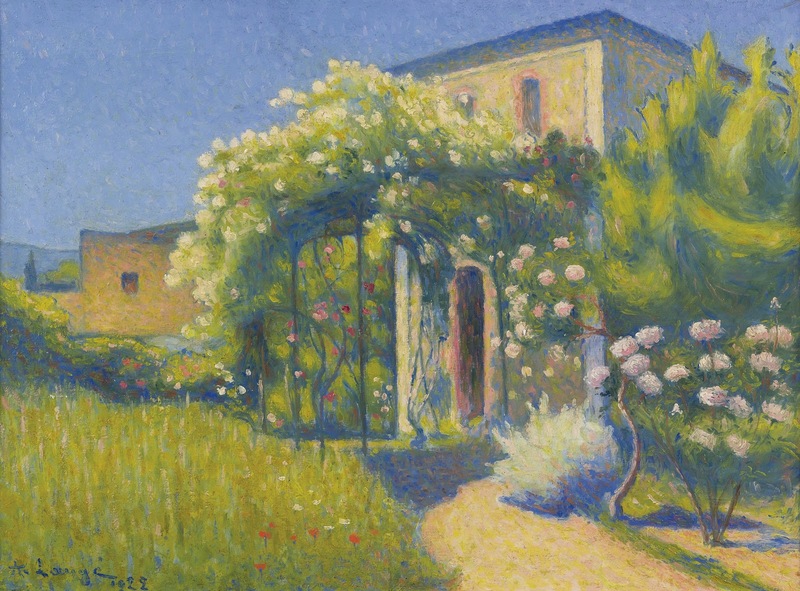 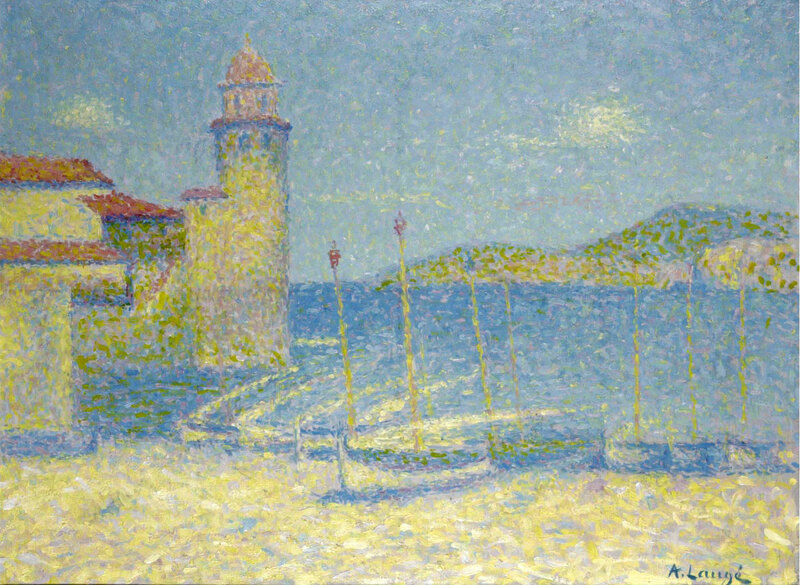 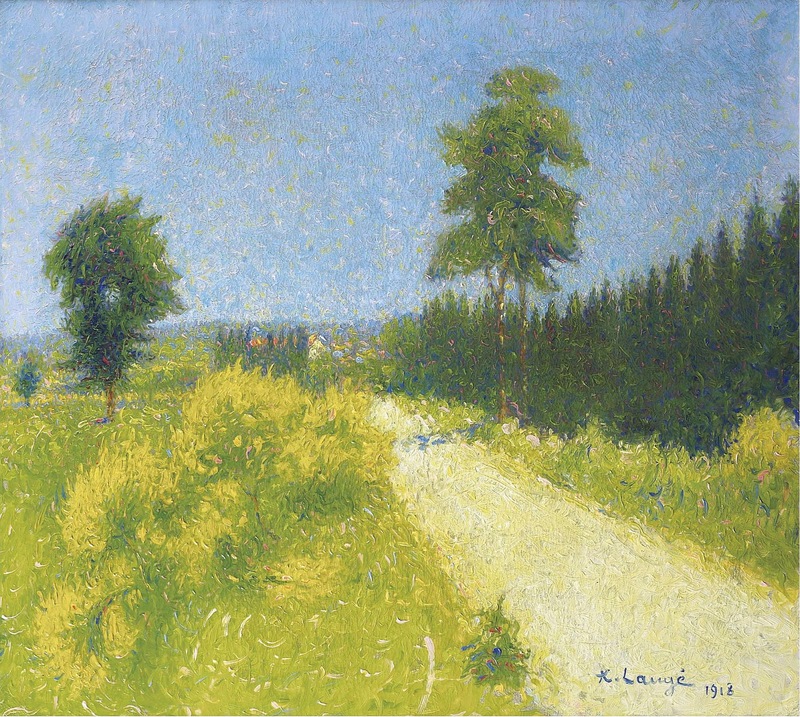 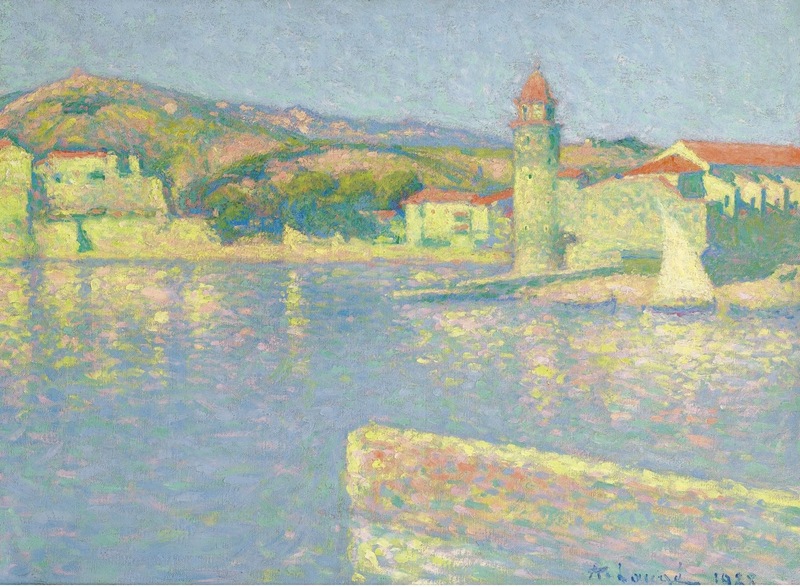 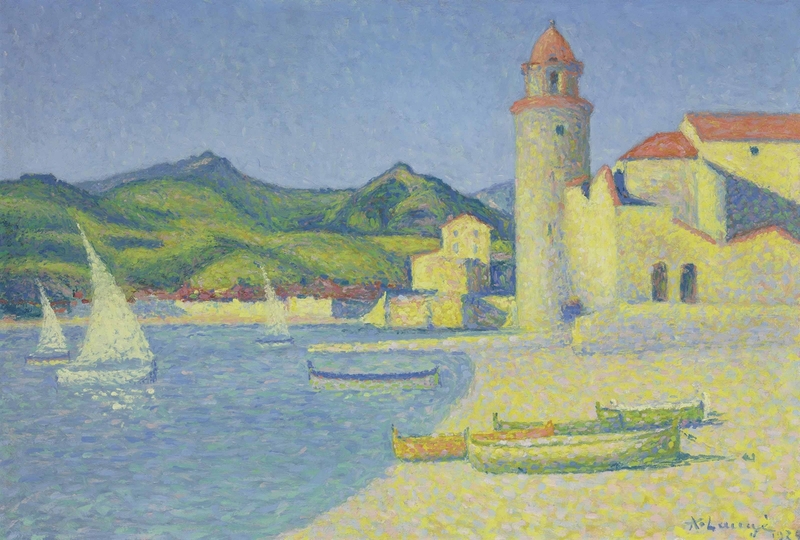 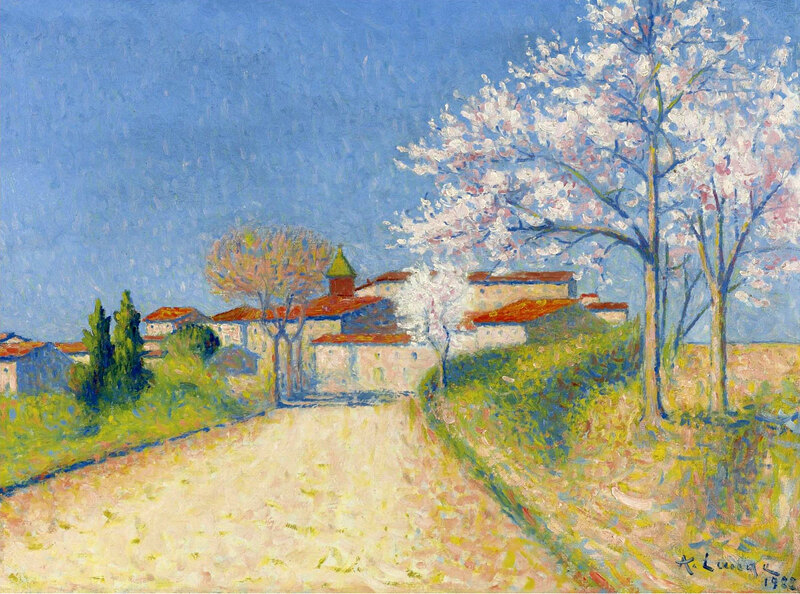 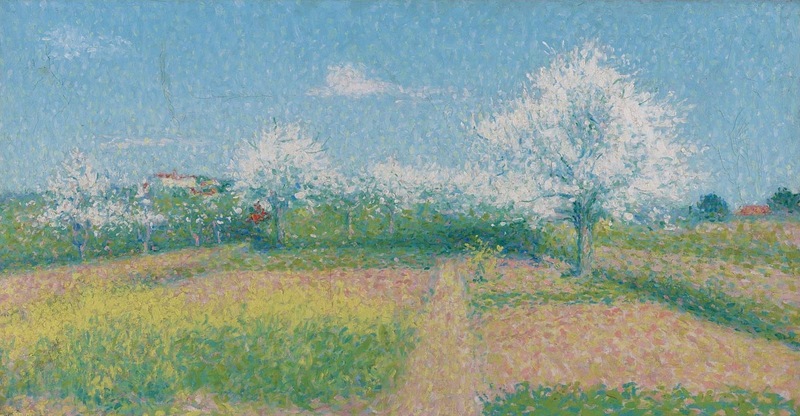 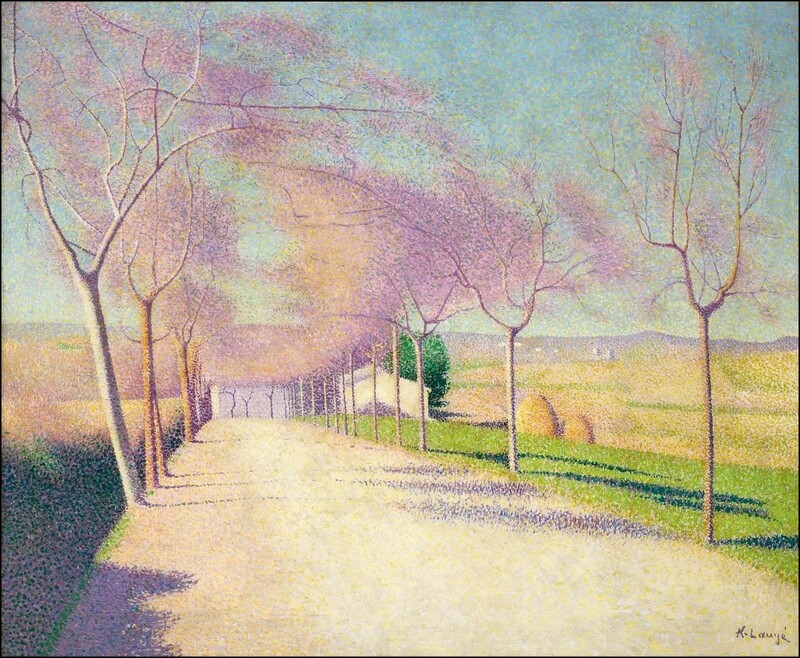 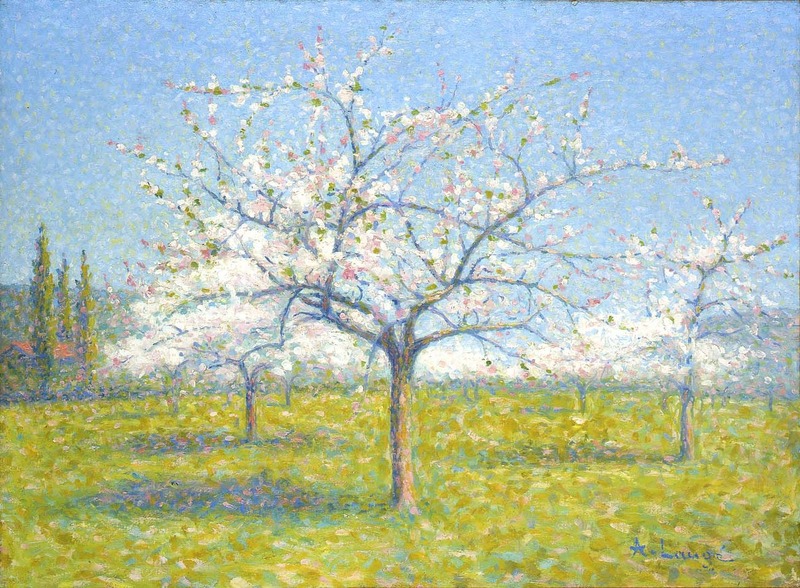 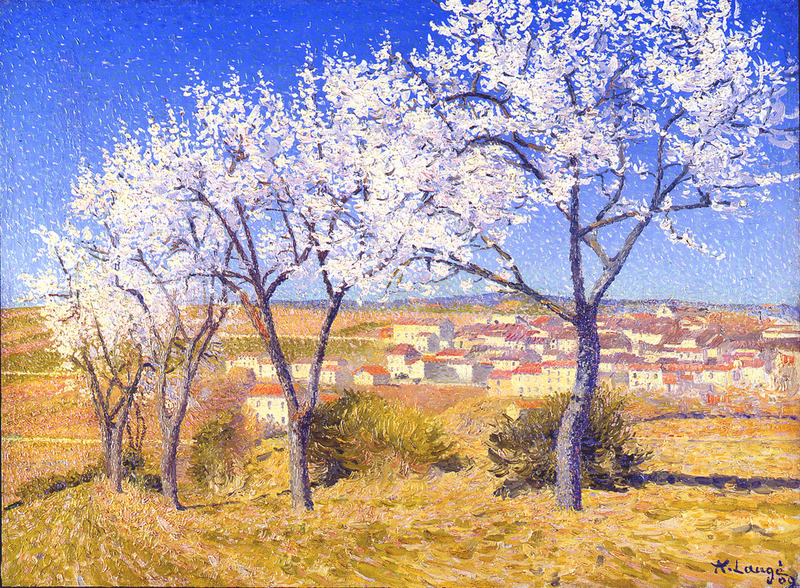 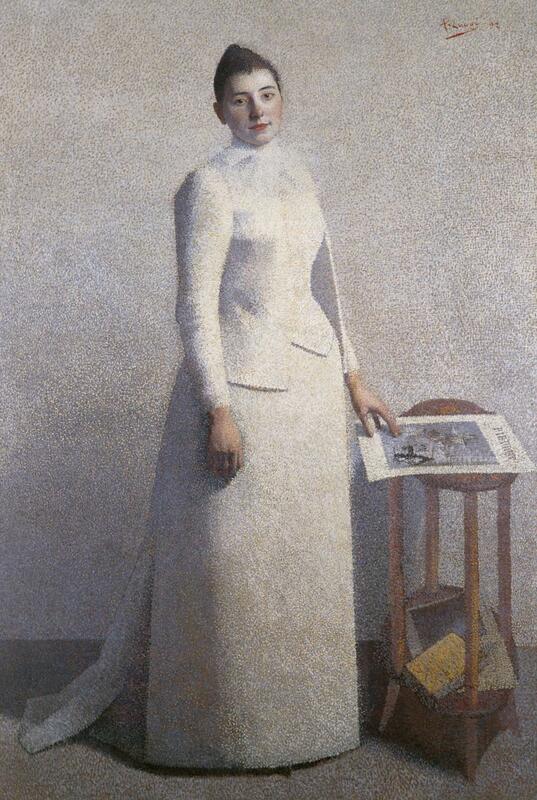 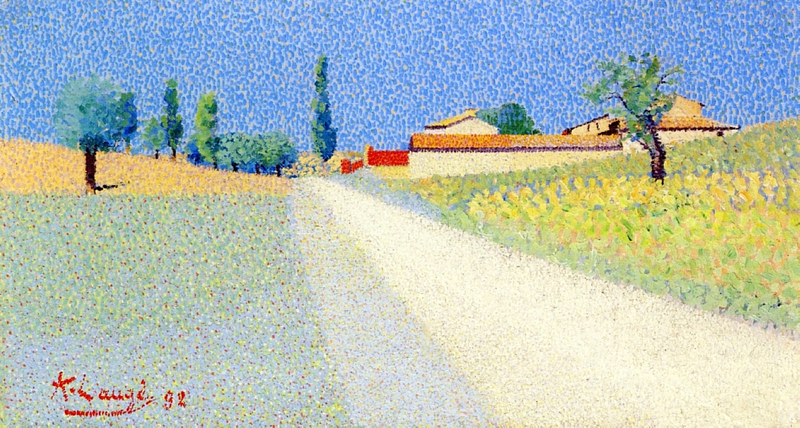 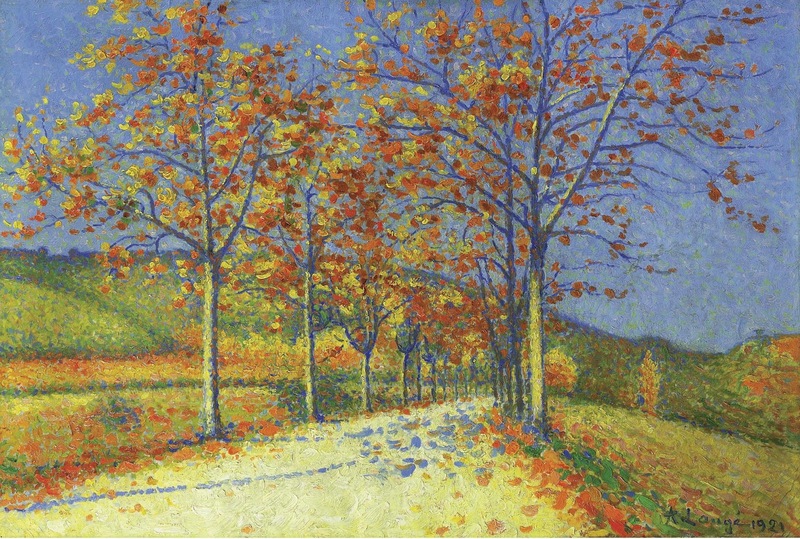 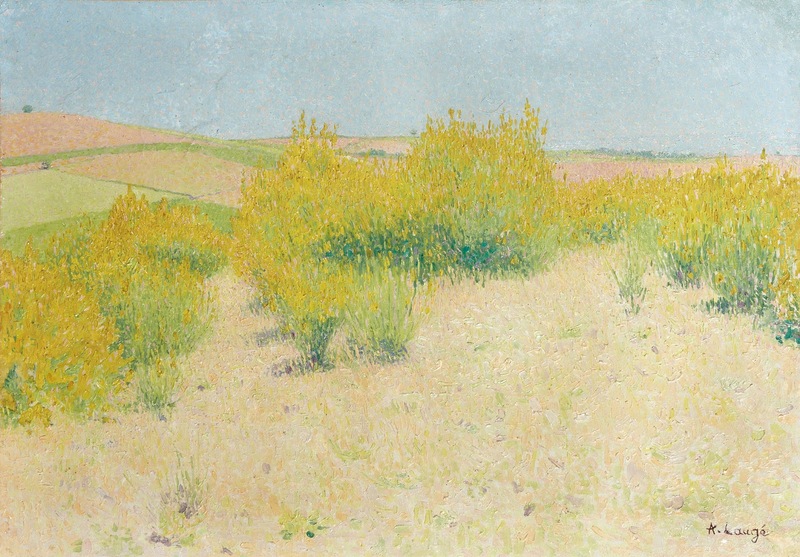 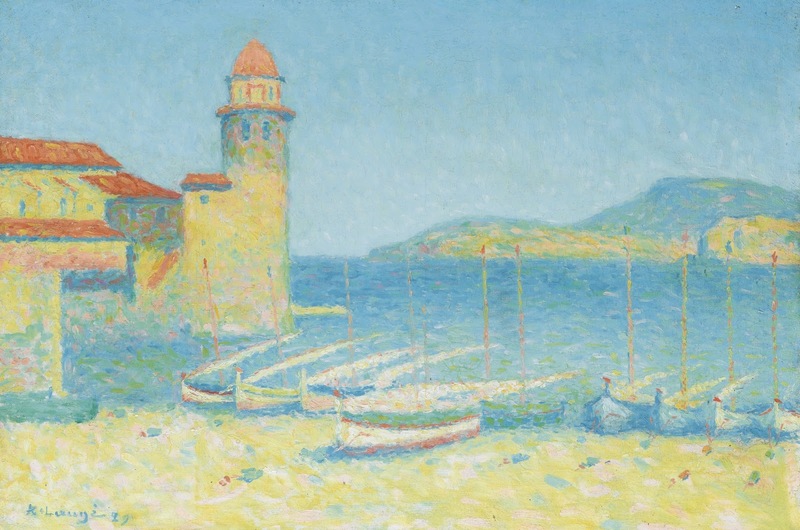 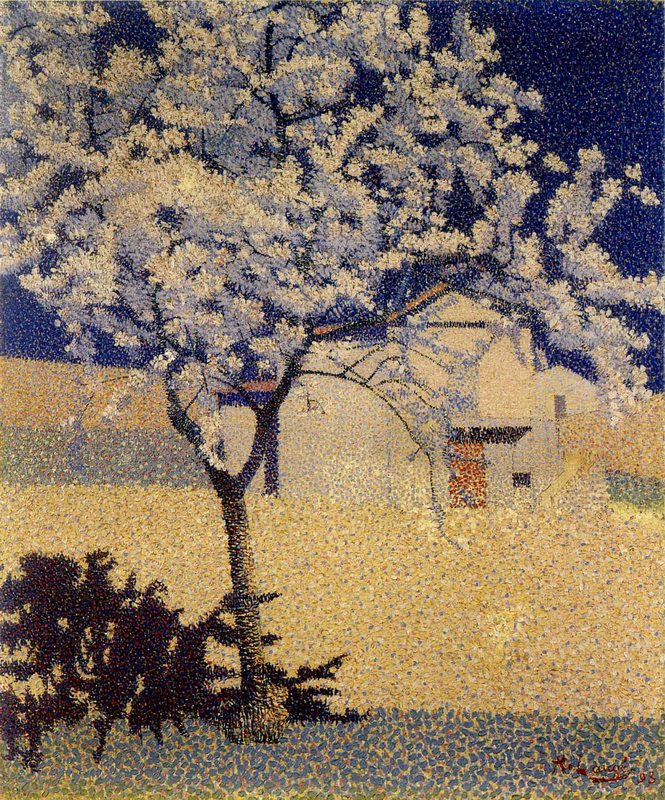 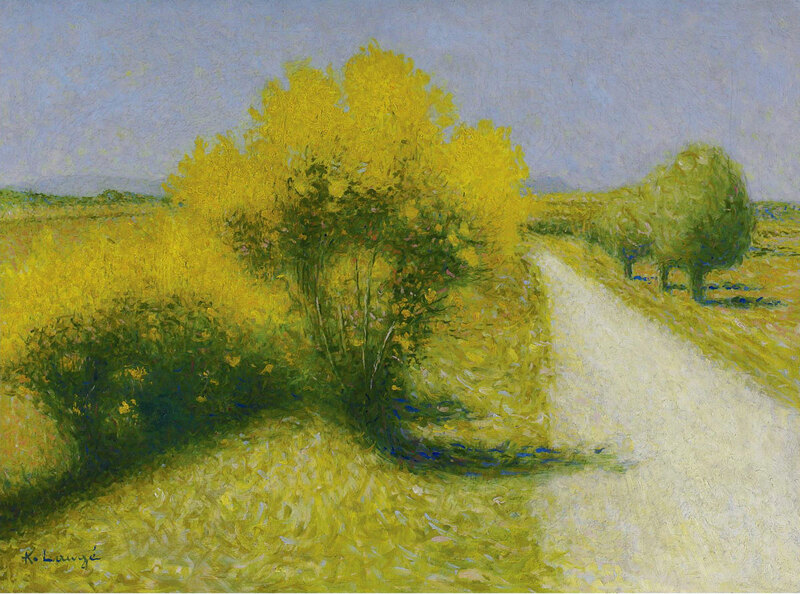 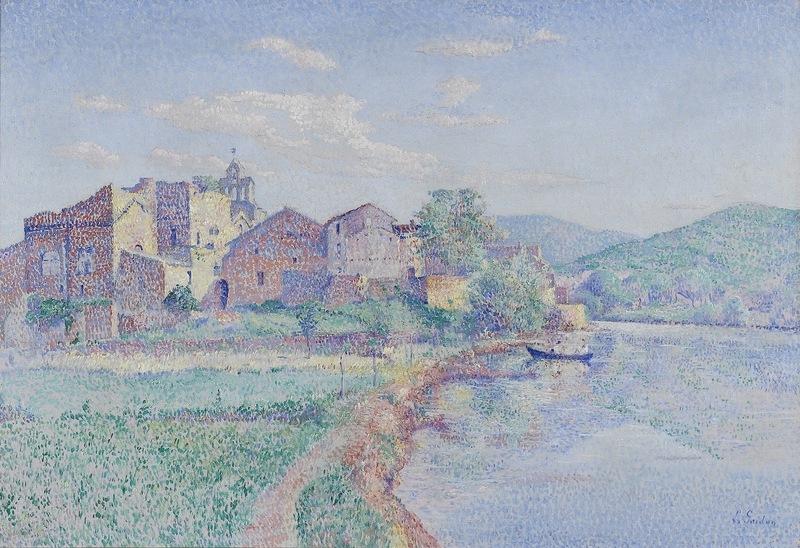 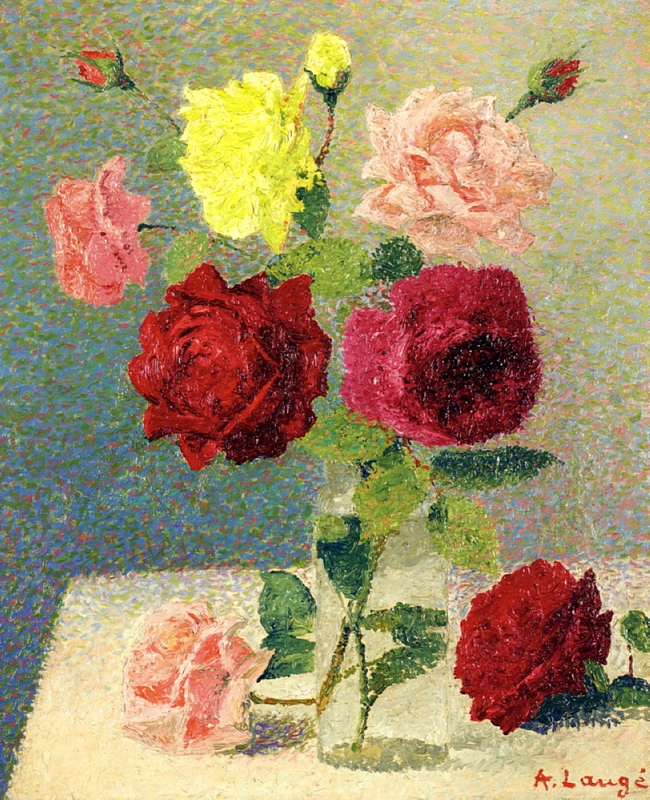 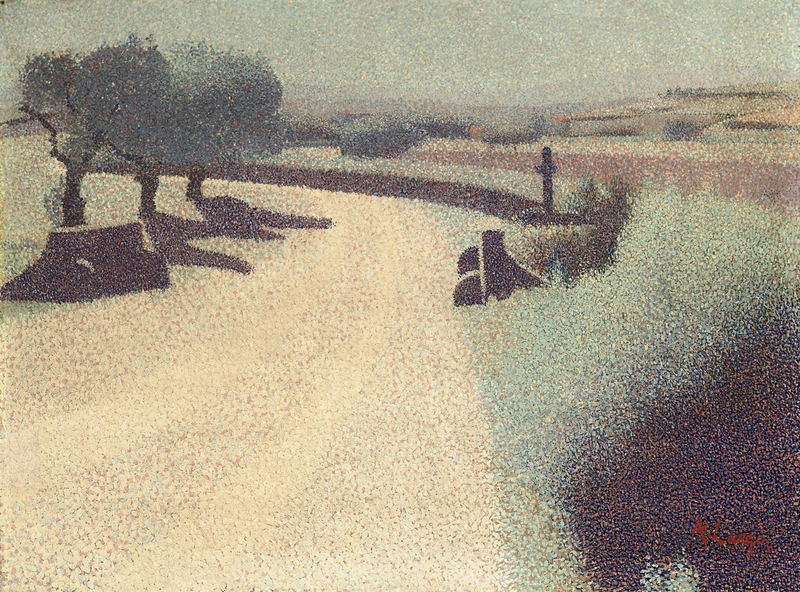 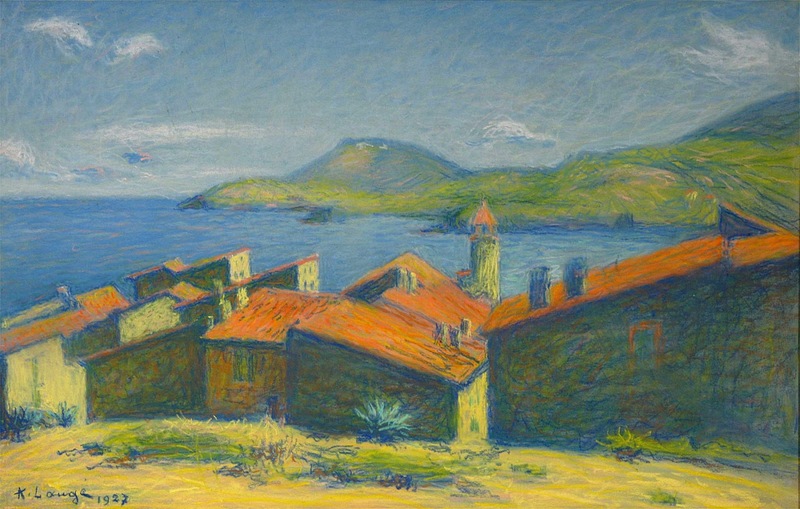 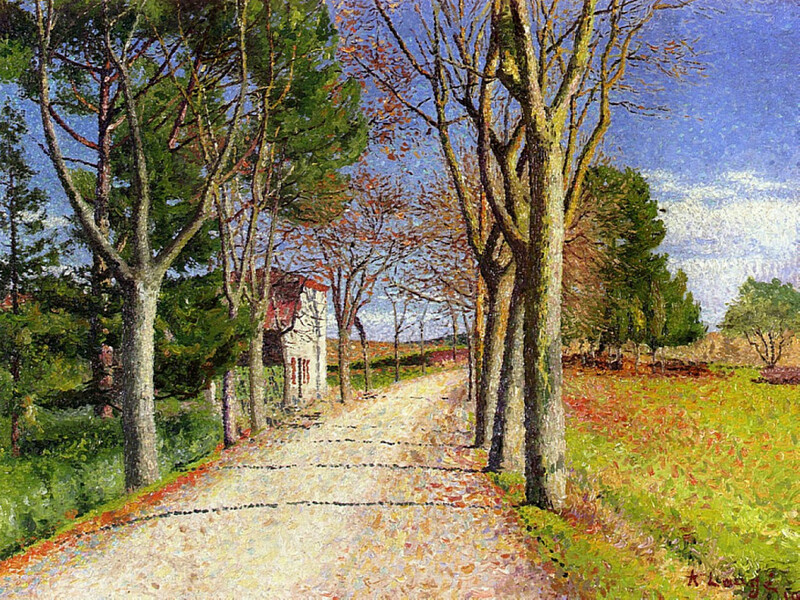 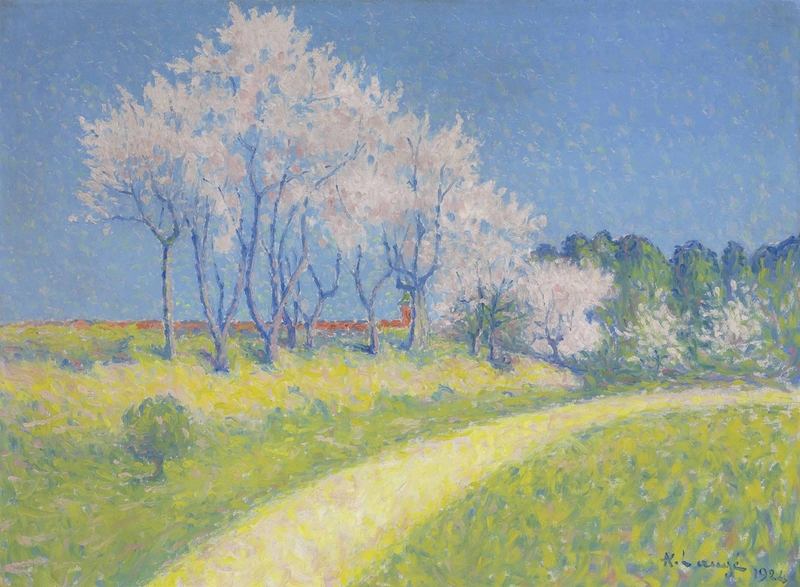 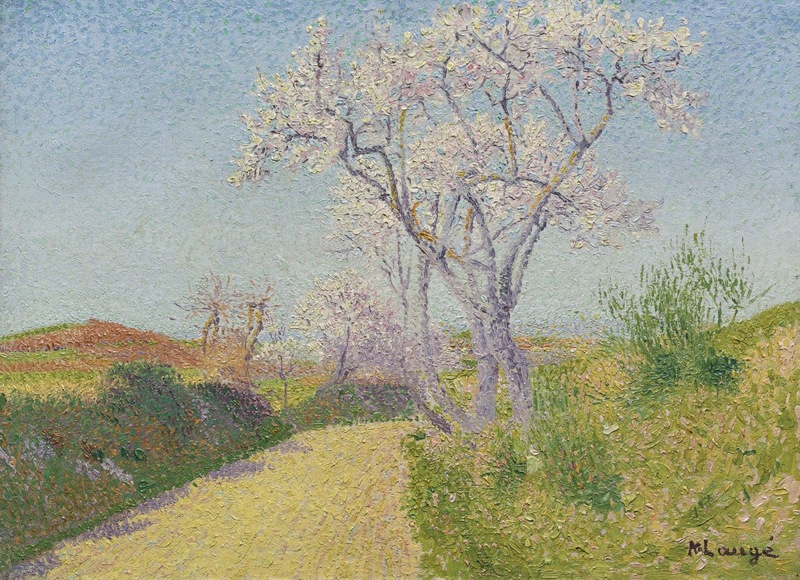 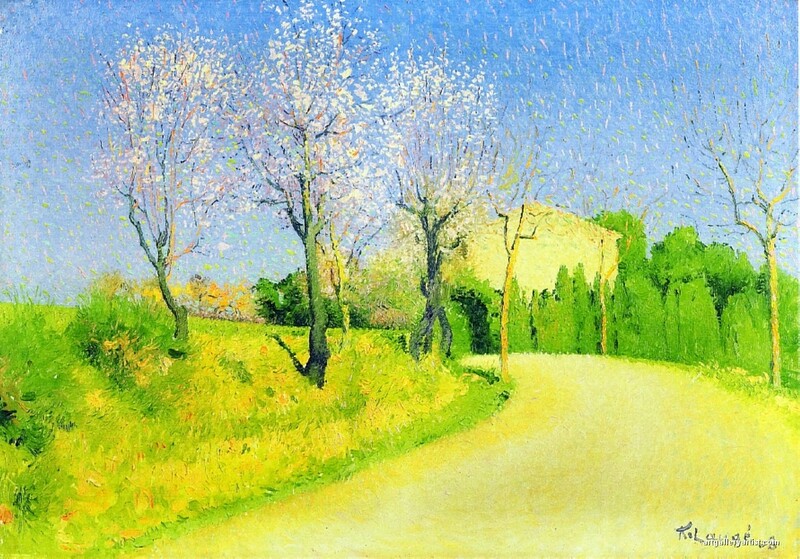 Laugé’s use of dots of color-or the Divisionist technique-evolved into a cross-hatching technique after 1896. 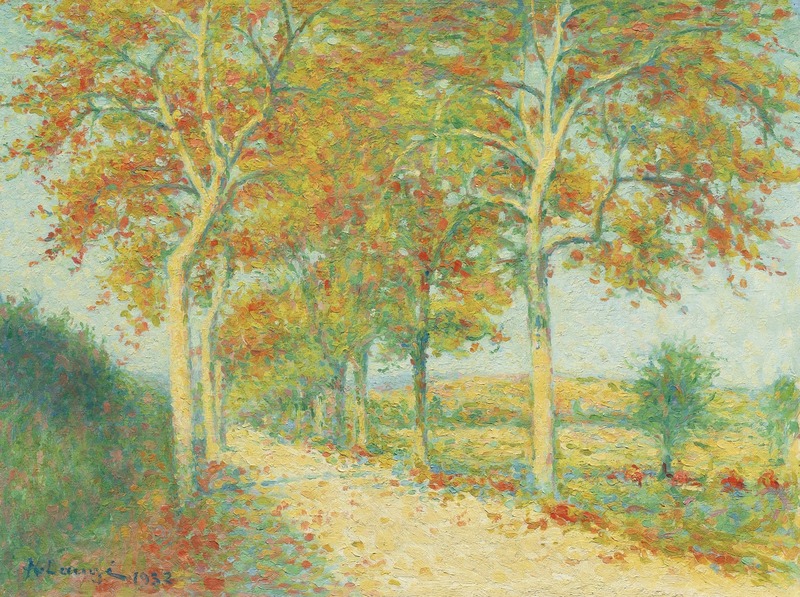 By 1905, he had adopted looser and larger strokes with thick impasto, a style reminiscent of the more traditional Impressionist approach. 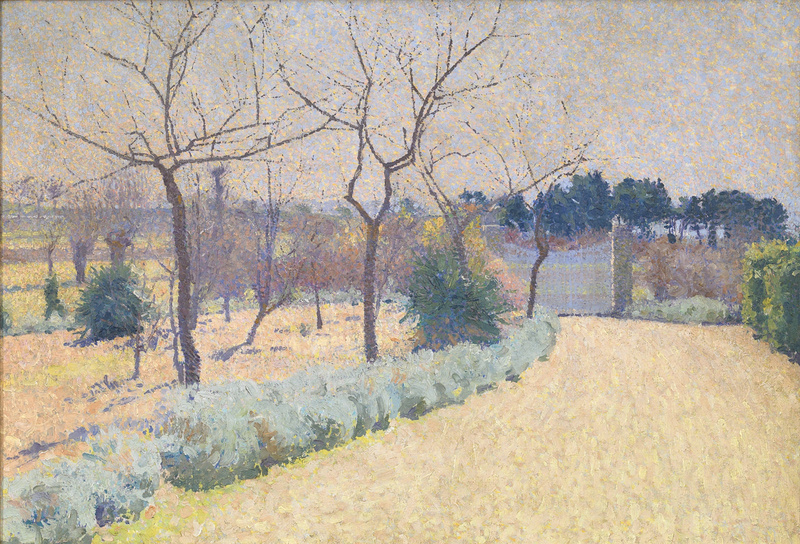 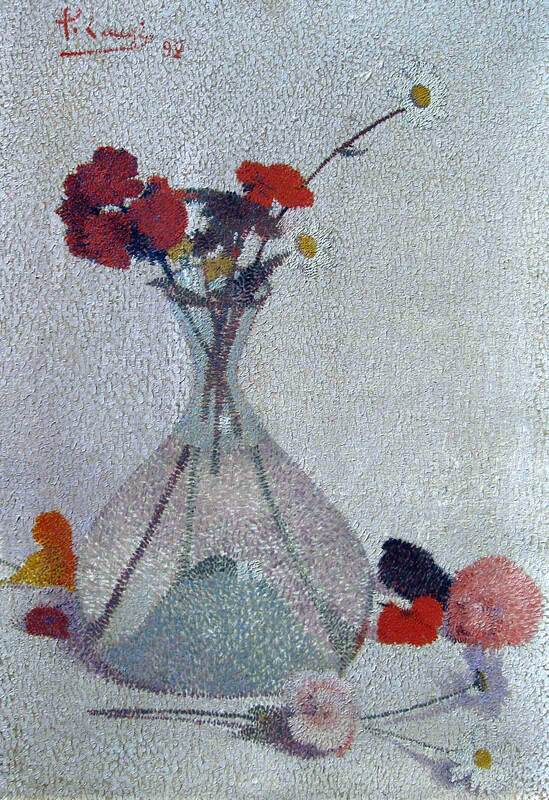 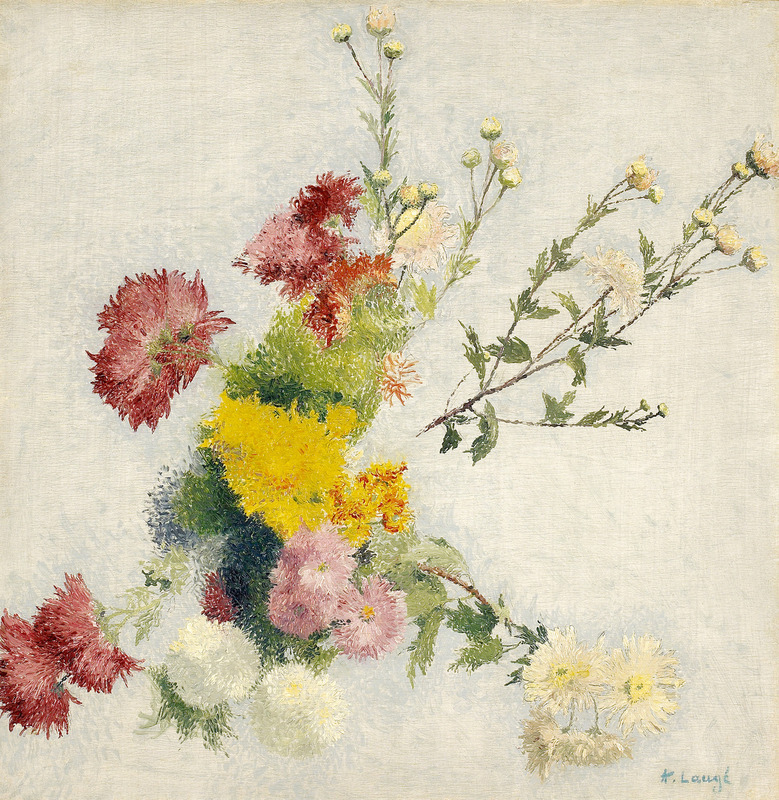 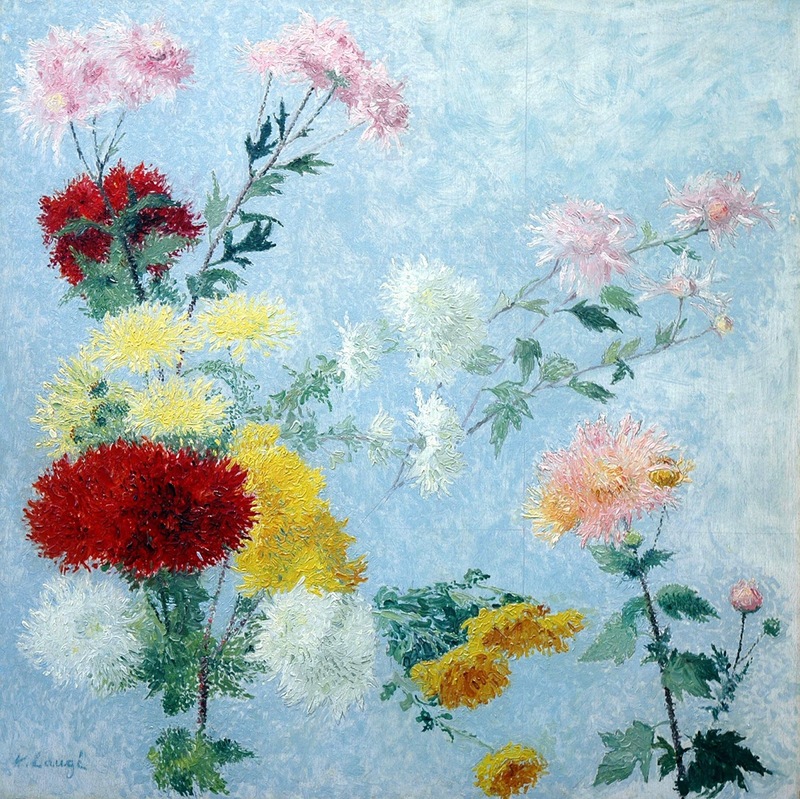 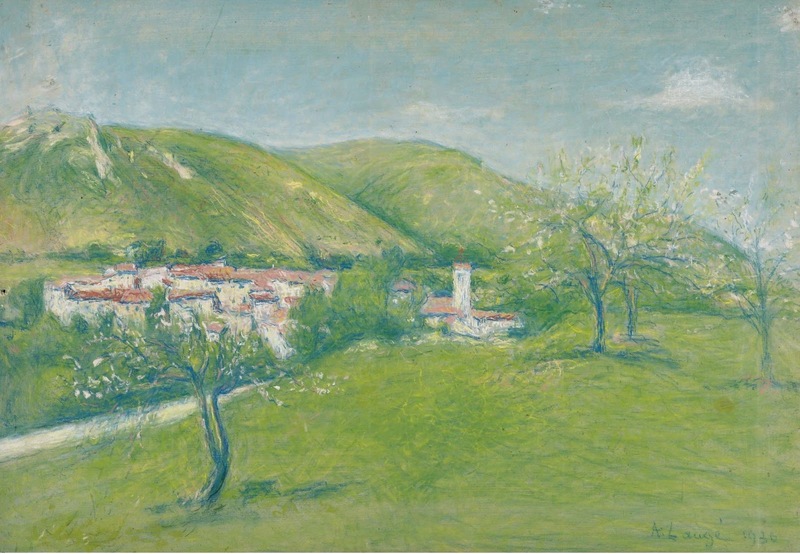 Laugé exhibited at the Salon des Indépendants in 1894, and later that year at the Salon de Toulouse, together with Fench artists Pierre Bonnard (1867-1947), Henri de Toulouse-Lautrec (1864-1901) and Édouard Vuillard (1868-1940).